What is an advanced project management toolkit? This is essentially a collection of documents, resources and tools you, as the Project Manager, will have to develop in order to successfully plan and execute your project. Most Project Managers will understand the basic tools such as the Work Breakdown Structure, the Project Schedule, and the Gantt Chart. However, as project management advances in both scope and software development, so do the tools that can be added to your project management toolkit. Just a couple years ago, managers were setting weekly, monthly, or quarterly face-to-face or telephonic meetings with stakeholders to ensure everyone was kept in the loop.1 Today, most interaction happens either through email, video chat, or through collaborative tools such as commenting in Google Docs, or using work management software such as Asana or Basecamp. This is just one example of how the landscape of project management has changed over the years, but it’s just the beginning. Not all organisations refer to this as a “business case”, some call it the case statement,5 but the terminology is not important. The business case can be any document that includes some or all of the aspects covered below. Wasting valuable resources. If resources are spent on projects that don’t aid the business in achieving its objectives, it will lead to fewer resources being available for more valuable projects. Lack of direction. Without a business case, or direction, it’s difficult to know which projects to prioritise. Many businesses use “the loudest voice” approach. In other words, whichever manager or stakeholder yells the loudest (has more influence, is more intimidating) will be seen to first. Unclear targets. Without understanding, the project’s deliverables, the project management team may focus too much on technical details rather than the goals of the project. Lack of opportunity to improve. Reaching project management maturity is important so that you can compare the success of the resource usage against the set goals. Define the project. Identify the need for a lessons learned review and decide which lessons to include. 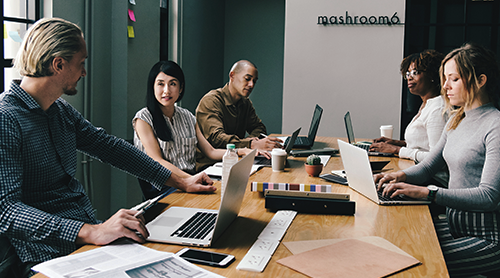 It is important to establish the specific purpose for each lesson, the audience for the review, and which individuals to include in the project team, as it may not be necessary to include all project stakeholders. Initial engagement from all key players should be established in advance of the project. Work out the collection process. Capture the information either through structured or unstructured processes. Examples of these include: project critiques, meetings, and written forms. Positive experiences should be those related to having achieved business goals, and negative experiences relating to undesirable outcomes. Verify the accuracy. Involve subject matter experts during this process of checking the accuracy of each lesson. Some lessons may only apply to departments or specific projects, when ideally you’d want lessons to apply to the organisation as a whole. Highlight the storage process. This will often involve incorporating lessons into an electronic database for future dissemination. It’s suggested you store information in a way that allows for keyword search. Disseminate the information. The most important step is ensuring the lessons learned review is shared and distributed to all those who will benefit or be involved with future projects. This step may include a training session. Provides a simple overview. It displays relationships in a logical way, making correlation easily understood. Shows all causes simultaneously. Each and every possible reason behind a problem is displayed in a single diagram. Facilitates brainstorming sessions. 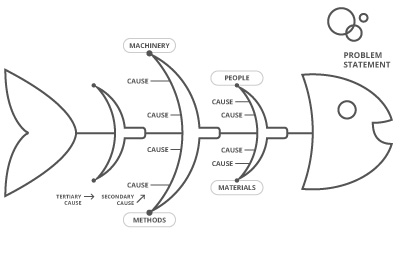 The diagram can be used to structure sessions around the reasons for the results found because it captures all the causes. Stimulates problem solving. By seeing the reasons in a visual graph, it makes it easier teams to find possible solutions to problems. Helps focus teams. It involves every relevant party, creating opportunities for discussion around problem-solving and desired goals. While there are many new and advanced project management tools and techniques, the three listed above are innovative documents you can add to your repertoire. These could potentially advance your skills as a Project Manager, and organise and track your project success in an insightful way. 1 Quinn, J. (Feb, 2012). ‘From face time to FaceTime: Balancing communication in a digital world’. Retrieved from RBB Communications. 2 Williams, T. (Mar, 2011). ‘Rescue the problem project: a complete guide to identifying, preventing, and recovering from project failure.’ Retrieved from Amazon. 3 Rouse, M. (Aug, 2014). ‘How to write a business case.’ Retrieved from TechTarget. 4 Watt, A. (Nd). ‘Project Initiation.’ Retrieved from BC Campus. 5 Herman, B. & Siegelaub, J.M. (2009). ‘Is this really worth the effort? The need for a business case’. Retrieved from PMI. 6 Herman, B. & Siegelaub, J.M. (2009). ‘Is this really worth the effort? The need for a business case’. Retrieved from PMI. 7 Rowe, S.F. & Sikes, S. (2006). ‘Lessons learned: taking it to the next level.’ Retrieved from PMI. 8 White, M. & Cohan, A. (2010). ‘A guide to capturing lessons learned.’ Retrieved from Conservation Gateway. 9 ‘Complex Project Management Issues? Fishbone Diagram is here to Help You.’ Retrieved from Simplilearn. 10 Payne, D. (Mar, 2018). ‘9 diagrammatic tools for efficient project management.’ Retrieved from Rizonesoft. 11 ‘Benefits of Fishbone Diagrams.’ Retrieved from Edraw.